Since there are more and more motorists on the road today, that unfortunately means there are more accidents occurring. In many cases, the accidents result in serious injuries to drivers, passengers, and even others who may be nearby. Because of this, it’s very possible criminal charges and even personal injury lawsuits may be filed in these situations. 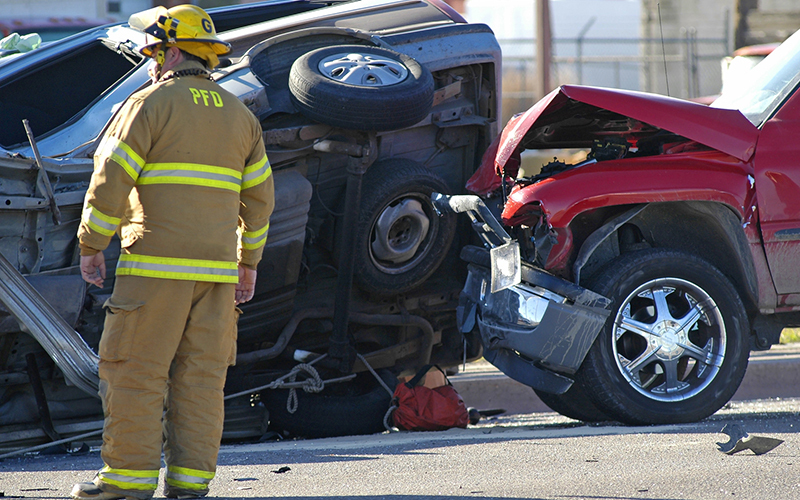 A driver should know about how to avoid and deal with accident lawsuit mistakes. To learn more about the duties of care that are expected of drivers, as well as various laws, damages, and defenses common to these situations, here are some of the most important legal aspects of these areas. When it comes to a driver’s duty of care, negligence is a big factor. With negligence being defined as a “careless or willful act that results in the injury of another person,” this is the critical factor in any personal injury case. If you are filing a lawsuit, be prepared to show the other driver acted recklessly, and that your injuries were the result of their recklessness. Examples of negligence can include talking on a cell phone, reading a map, or speeding. To convince a judge or jury to rule in your favour, you’ll need to prove the other driver was negligent. This can be done by using police reports, video from surveillance cameras, or the testimony of witnesses. In addition, you must prove the negligence led to your injuries. For example, if a surveillance camera or witnesses prove you were stopped at a red light when hit, and you suffered whiplash injury or any other injury afterwards, chances are good the judge or jury will rule in your favour. If you file a lawsuit and get a ruling in your favor, various types of damages can be awarded to you. These can include money for medical bills, pain and suffering, lost wages, property damages, expenses associated with rehabilitation of your injuries, and other punitive damages the judge or jury may deem necessary. What If I’m Being Sued? If, however, the shoe is on the other foot and you find yourself being sued by the other driver, that doesn’t mean you have to panic. By working with a whiplash injury attorney who has experience and knowledge of these cases, there are a variety of defenses you can use to prove your case. A common defense used in these cases, this one will benefit you greatly if you can show the plaintiff displayed risky behavior that resulted in their being injured. For example, if they ran a stop sign because they were talking on a cell phone and you struck them, contributory negligence may work in your favor. In most states, plaintiffs only have a certain period of time to file personal injury lawsuits. Therefore, if a lawsuit is filed against you after this period, it will not be heard. Since there are many factors involved in these cases, it’s best to consult an experienced attorney, whether you are the plaintiff or defendant in the lawsuit.